Austin Yolando Green, (PKA Kevin, a name he adopted from his mother) was born in the community of Red Hills (Kingston, Jamaica). With the passion of music in his heart from childhood, it matured into a lifelong career mission. 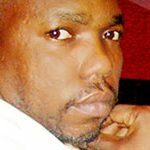 Now as a Reggae and Dancehall Producer Austin “Kevin” Green has seen the best and worst sides of the genre and utilizes all experiences on his musical path. 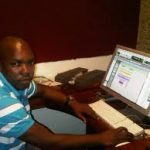 As a well-respected studio engineer, he has been in the business of music production since 1998 at Gargamel Music, home of the superstar Buju Banton, who is also his first cousin. While at Gargamel Music, Kevin became acquainted with the techniques needed to become a fully professional engineer. As he perfected the craft, he received his first big break as an engineer mixing tracks for Buju Banton. Which turned into numbers of live sessions in the wee hours of the morning tweaking the sounds of Banton’s Friends For Life album, all the while experimenting with sounds and phrases for a possible riddim compilation. As his network grew and the credits began to pile up Kevin made his move and ventured into the mainstream as an independent producer releasing his very first riddim called the F 150 during the late 1990’s and early 2000. After receiving a positive reception with the F 150 riddim, Kevin tested the waters again. In 2001 he released his Vacuum and Hypnatic riddims (including tracks from Sean Paul, Elephant Man, and Bounty Killer). The subsequent recording of Bounty Killer on Hypnatic riddim, lead to a connection that still stands strong today. Impressed with how talented and determined this budding producer was, Bounty Killer immediately sealed the link and allowed him to do exclusive mixing projects during his studio session. Concurrently, Jet Star, one of the biggest reggae recording and distribution company based in England, took notice to Kevin’s superior production skills and drafted him into their organization. At Jet Star, Kevin was able to expand his skills in a high end international facility, working on projects for a host of artists including New York rapper Fat Joe. Although his concentration was on engineering, Kevin flexed his productions skills managing to release two of his most successful riddims to date, The Garrison and the 100 Watts Riddims (featuring artist such as Assassin, Sizzla, Bounty Killer , Buju Banton, Vybz Kartel, Elephant Man and Spragga Benz). In 2004, Kevin had the special opportunity to produce “Puma Time” for the Jamaican Olympic Team. Executive produced by Puma, the single featured artist “East Coast”. Now even more focused on production, Kevin continued working with Buju; however, in 2006, after producing and mixing several tracks for Buju Banton’s Grammy nominated Too Bad and mentoring from Bounty Killer , he realized it was time for growth. Parting from Gargamel Studios, Kevin formed PayDay Music Group. With a newly formed endeavor, Bounty Killer introduced Kevin to Sharon Burke of Solid Agency. Aligning with Solid Agency enabled releases of more riddims, affording Kevin the opportunity to have new coming artists featured on compilation with majors like Busy Signal, Macka Diamond, and Vybz Kartel. As Kevin’s accolades and credits continue to rise (along with internationally touring with Bounty multiple times), his focus shifted fully to PayDay Music Group and his dedication to the development of new artists. “I believe the youths aren’t getting the right opportunity for a start, too much talent is being wasted. I want to create a mega structure with rehearsal areas, multiple studios, green screen room, and our own distribution. I want to be the first major local based distributor to compete internationally, so that firms like Sony and VP Records have to come to us for music”. 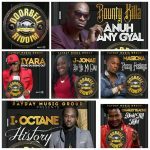 From 2005 to present PayDay Music has given recording opportunity to artist from Mavado to Iyara, Raine Seville to Ishawna, Lutan Fyah to Beres Brown, a slew of other artist. Through PayDay, Kevin has released a string of riddims such as “Honeycomb” “Billboard” “Style Dem” “State of Urgency”. Definitely, one of the hardest working production houses, the 2011 MIA Awards recognized Kevin as “Producer of the Year”. Prior to his recognition at the MIA Awards, Kevin received a 2011 Grammy for his work on Buju Banton’s “Before The Dawn”, a feat that many engineers and producers in Jamaica have not achieved. Energized by his certified acknowledgments, Kevin and PayDay Music went into full force production, releasing “Quick Fix” “True Stories” followed by the internationally popular “Bedroom Riddim” (boasting 12 of today’s hottest female dancehall artist) and “Real Reggae Riddim”, (one of the strongest riddims released in 2012). 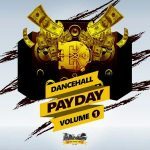 In April 2012, Kevin and PayDay Music partnered with HelpJA Children to create their theme song “Play Your Part” which features 11 of today’s hottest Dancehall and Reggae artist. 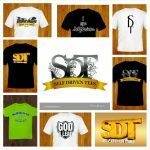 Kevin is currently working on “Selfdriven” mixtape with Rockwildaz.com and recently launched PayDay Music Bookings. With a solid background, Kevin is a well-respected engineer and producer, emboding the qualities needed to compete in today’s fast paced world of music, where trends and styles change daily. Instilling these qualities into those around him, and letting the music speak for itself, Kevin leads by example, putting him and PayDay Music into history books, well before time!